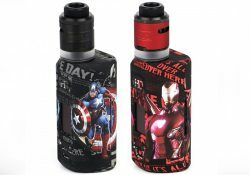 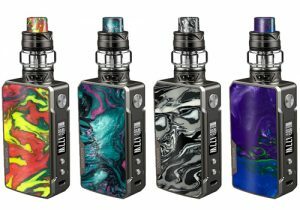 This kit features exquisite graffiti finishes including some superhero ones, dual 18650 battery support, 200 watts of power, a 0.96 inch OLED display, a full temperature control suite, TCR mode, power mode and dual/single coil builds. 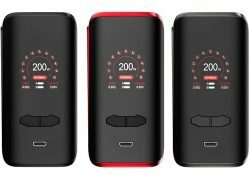 Just as was the case with the RX2/3, the Vaptio N1 Pro comes with 2 replaceable back covers, one for use with 2 batteries (200W max output) and the other with 3 (240W max output). 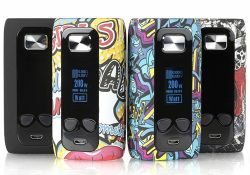 This new mod features an exquisite premium design, a 1.3 inch TFT display, fast firing, 200 watts of power, versatile modes including temperature control/TCR, low atomizer resistance capability, dual 18650 batteries and lightning fast 2.5 amp charging. 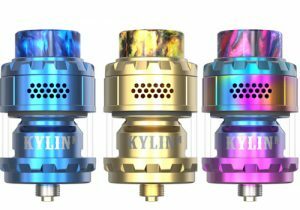 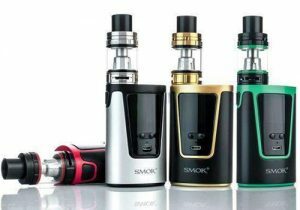 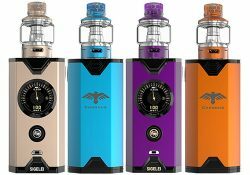 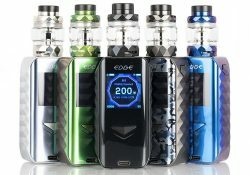 The kit features an AS chipset, 200 watts of output, low resistance capability, dual 18650 compatibility, wireless charging, a full color display screen, a 5.5ml juice capacity, dual slotted bottom adjustable airflow, a top fill system and digiflavor coils. 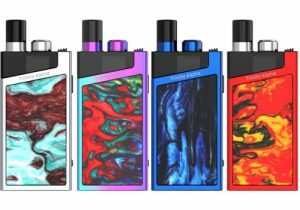 The affordable Laisimo E3-3 Mod features a 1 inch full color display, 200 watts of power, an ergonomic design, splatter style finishes, dual 18650 battery compatibility and temperature control including TCR. 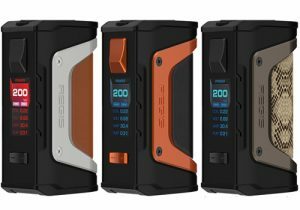 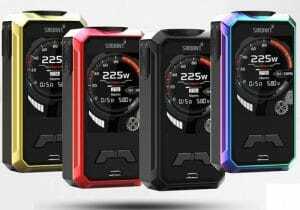 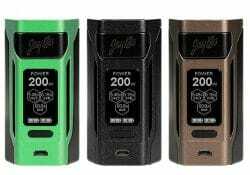 The Wismec Reuleaux RX2 20700 utilizes better performing 20700 batteries and features a large 1.3 inch display, an easy to use interface, 200 watts of output, temperature control with TCR, fast 2A charging and a compact design. 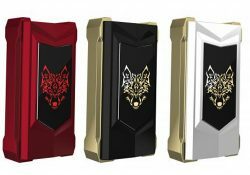 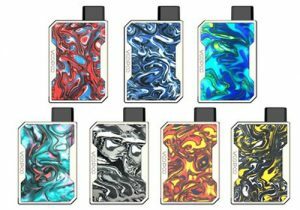 The Think Vape Thor Box Mod features an attractive design, 200 watts of power, a 0.96 inch OLED display, dual 18650 compatibility, versatile temperature control and bypass mode. 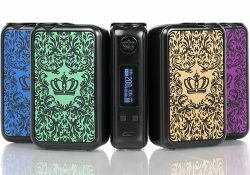 The Crown 4 kit features a sleek frame with baroque patterns, an anti-slip bottom, a new circuit board, a leakproof 510, dual 18650 batteries, multiple work modes, 200 watts of power, a 6ml juice capacity, double helix mesh coils, effortless refills and adjustable airflow. 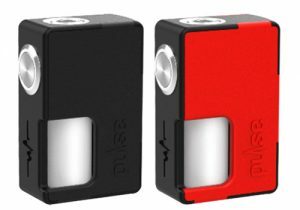 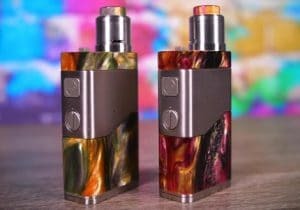 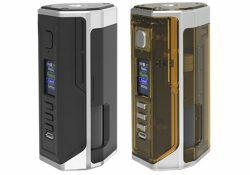 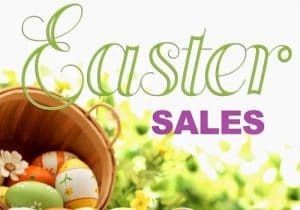 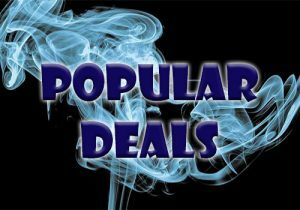 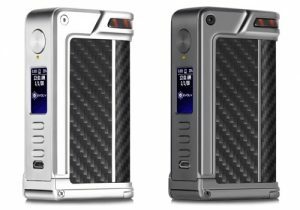 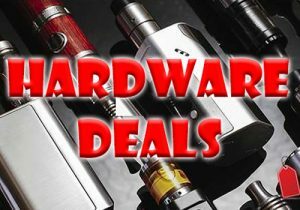 Check out cheap deals for the Lost Vape Drone DNA 250C Squonk Mod. 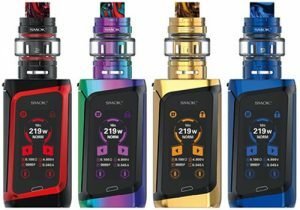 The iPV Trantor features the latest Yihi chip board, a full color TFT IPS HD display, wallpaper customization, customizable LED lights, 200 watts of power, Sxi-Q taste mode, flavor modes and anti-dry burning temperature control. 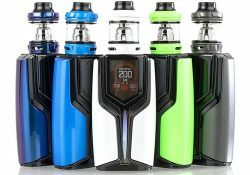 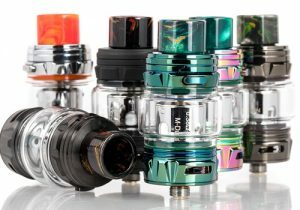 This kit features a full color display with customizable user interface, a navigational joystick, instant firing, multiple safety functions, a plethora of operating modes, 200 watts of power, password protection, a 5.5ml juice capacity, a top fill system, adjustable bottom airflow and low to mid-wattage coils. 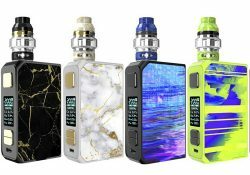 This luxury mod kit features a breathtaking appearance thanks to master craftsmanship, UV printed glass panels, exquisite finish options, virtually instant firing, a custom display screen, firmware upgrades, 10 different protections and 200 watts of power. 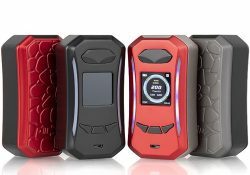 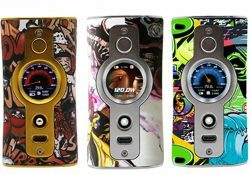 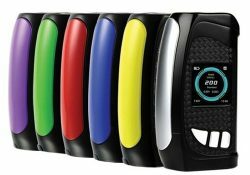 The VX200 Mod features a cell phone theme, curved pocket-friendly design, a large fire button, a car dashboard 1.3 inch color screen, hundreds of screen color options, 200 watts of power, five modes (VV, VW, TC, Bypass, TCR), 3 taste modes (normal, soft, high) and firmware upgrades. 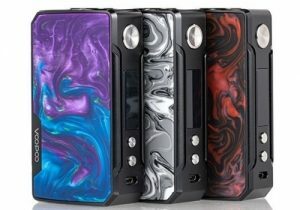 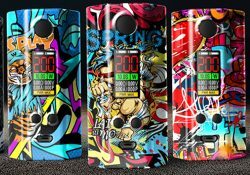 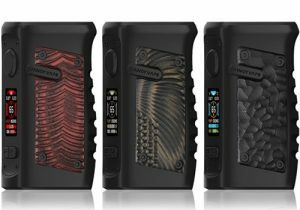 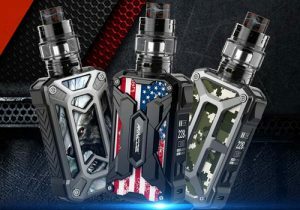 This new box mod features graffiti/camo finishes, a full color TFT display, uploadable background wallpaper functionality, a Yihi SX530 chip with SXI-Q control, a wide range of safety protections, low atomizer resistance capability, dual 18650 batteries, 200 watts of power and versatile temperature control. 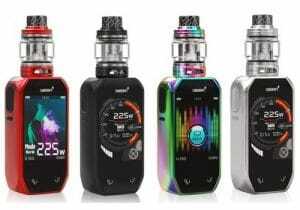 The Pioneer4You IPV Eclipse features a IPS HD display, a Yihi SX420 chip board, easy navigation, 200 watts of output, SXi-Q control system and utilizes dual 18650 cells. 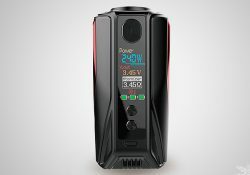 The Wotofo Flux Mod Kit with features the Flux Mod with a full color display, customizable LED lights, 200 watts of power, dual 18650 batteries, powerful plus mode for fastest firing ever and taste modes.